Bernauer Strasse in Berlin is symbolic of the division of Germany. The border line ran along the walls of the houses that stood on the eastern side. Both sides of the street changed radically when the Wall went up. Thirty years after the fall of the Wall, we investigate a vanished place that brings into focus the history of the Berlin Wall like nowhere else. 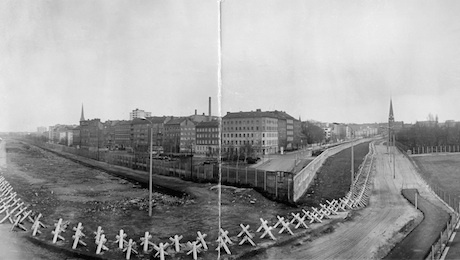 By the time the Wall fell on 9 November 1989, it had shaped and changed Berlin like no other structure in the city. It became symbolic of the division of Germany. The unremarkable Bernauer Strasse became one of the grim “tourist attractions” in the divided city, a place where the effects of the division were immediately apparent. The border line ran along the walls of the houses that stood on the eastern side. Photos of the border policeman’s leap to freedom, residents clambering out of windows or the blown-up Reconciliation Church brought the street international fame. 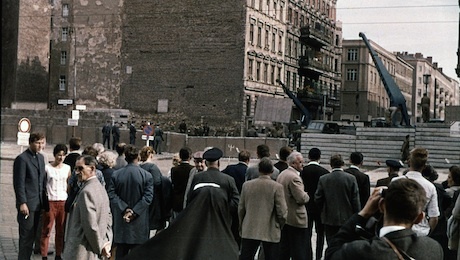 Thirty years after the fall of the Wall, we investigate a vanished place that brings into focus the history of the Berlin Wall like nowhere else.